Summary: Another binary options autotrader with no strategy. Today I’m reviewing a new binary options trading system that’s promising $50,000 a week to its members, GoldEuro Trade. According to the sales page, traders can gain access to this for a system that using the “first ever patented technology for making $50,000 weekly.” Before anyone signs up to the software, we should be given access to this patent, so we can see that it is true. I have a sneaking suspicion that there is no patent, and this is fabricated for the purpose of marketing. There is no information on the creators of the software, the location of their offices and there is also no way to get in touch with their support team. These are obviously not elements that we like to see when dealing with binary options trading systems, or any investment opportunities. For all binary options software and signals ratings go here. There’s really nothing that stands out about the GoldEuro Trade service. The sales page consists of an 8 minute video and the animation of the shaking number the tells us there is only “one new millionaire spot available.” Like most binary options products, the video doesn’t provide us with any information about the strategy. Instead, it’s a story about how a man named Josh Harris who was working for a startup called “GeniusTech” that was “working on a genius algorithm for trading on the stock exchange.” Then, they went bankrupt before they could finish the software but they show Josh and the other programmers on the team the right way to go. Then Josh gathered some of these other developers and they finish the software on their own. Apparently it took 3 years for the software to the created and during that time Josh is ashamed that he had to work at McDonald’s. Now, this software is available and you can get it just by entering your email. This is not how investment opportunities work as far as I’m concerned. I’m not interested in a story that can be written by anyone with half a brain. I’m interested in real strategy and intellect in regards to binary options trading. Nothing more and nothing less. Instead of results, GoldEuro Trade provides us with 3 testimonials labeled “our family of millionaires.” In watching these testimonials, it’s quite clear that these people in these videos are actors, and not real binary options traders. In fact, if you’ve spent any time in the binary options marketplace you will recognize the testimonial actor for Jeff Weiner from Brighton, UK, because he is frequently involved with other binary options auto trading videos. Sometimes he does testimonials, and other times he’s acting as the CEO of the company. The only other section on the website available, is the frequently asked questions section. In this section, one of the questions is “can you guarantee that I will make money?” This really shouldn’t be a question, because the developers of GoldEuro Trade make this promise multiple times in their videos and sales page. Yet, the response to the question is quite poor, and in their own frequently asked questions section, they are actually dodging the question. The answer reads “I can give you as many guarantees as you want, but you will never understand the true potential of the software until you try it.” They go on to say that if you don’t try it you’ll regret it, and that when the offer runs out there going to be charging nearly $7000 for it. So, they essentially dodge the question and then aggressively tell you that you should sign up anyways or else you’ll regret it. Basically marketing with fear. I see no reason why any trader would sign up with the GoldEuro Trade software. The sales page offers no transparency, no results, no strategy and poorly acted testimonials. 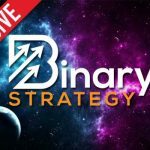 There is nothing that suggests to me that this is a real binary options investment that is going to make anyone money in the short or long-term. Thank you for reading my review, and please let me know if there is anything I can do to help you achieve success in the binary options marketplace.